Richard “Rich” Haag was born in Louisville, Kentucky in 1923. He spent three years in the U.S. Air Corps, which took him to Morocco and India during World War II. After the war he attended the University of Illinois (1946 –1949), and the University of California at Berkeley (1949 – 1950). Haag then studied at Harvard University where he received his Master in Landscape Architecture in 1952. He then received a Fulbright Fellowship which allowed him to live in Japan from 1953 to 1955. While there, he attended Kyoto University and studied Japanese cultural landscapes and gardens. Before establishing his own landscape design firm in San Francisco, Haag worked in the offices of Hideo Sasaki (1950), Dan Kiley (1951), and Lawrence Halprin (1956 – 1957). With valuable experience at hand, Haag opened his own firm in San Francisco in 1957, focusing on residential and commercial projects. The designs from this period exhibit many Japanese influences with the use of mounds and interior courtyards. In 1958, Haag moved to Seattle after he was invited by the University of Washington to establish a School of Landscape Architecture. He opened a Seattle office, hiring graduates from the University of Washington, including Grant Jones, Lurie Olin, and Kenichi Nakano. As his practice grew, he worked on fewer residential projects and became more involved with larger projects. Early recognition came to him with an award-winning submission for the Franklin Delano Roosevelt Memorial Competition in 1960 with architect Abraham Geller. Haag’s early Seattle projects included work on the World’s Fair site. A seminal piece by Haag at the fair was “Sunken Council Ring” with its surrounding circle of locust trees (1963). After the fair, Haag was selected as the Seattle Civic Center planner (1962 – 1964 and 1978). His work from this period included several large truncated pyramidal mounds at the northeast corner of the Center grounds. 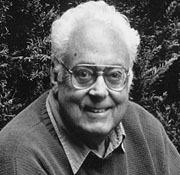 Haag was particularly productive during the 1960s and his work was well recognized during this period. Thirteen of his projects dating from 1964 – 1969 received AIA awards, including a Merit Award from the local chapter for his design at the Seattle Battelle Research site in the 1960s. His most celebrated projects however are Gas Works Park in Seattle and the Bloedel Reserve on Bainbridge Island. Both have been the subject of numerous publications, articles, awards, and recognition. Gas Works Park was created in the early 1970s. It features a 60-foot mound and edited retention of historic manufacturing machinery, sheds, and site infrastructure. The Bloedel Reserve is a 150-acre estate set in a forested, rural environment. Haag’s projects, which date from 1986, include a reflection pool, a moss garden, the sand-filled Garden of Planes, and a Japanese guest house, all of which are linked in a sequence of outdoor rooms and passages created by mounds, topography and plantings. Both projects were given the Presidential Award of Excellence from the American Society of Landscape Architects, making Haag the only landscape architect to have received two such awards from ASLA. Other noteworthy projects included Redemption of Occidental Park in Seattle (1970), Jordan Park/Everett Marina Park (1972), and landscape designs for the U.S. Embassy Grounds in Lisbon, Portugal and the Magnolia Library. Haag, still living in Seattle, is semi-retired. He continues to maintain a small practice working with a select group of small clients.